Add some Easter décor to your space without sacrificing your rustic or farmhouse aesthetic with these Wooden Easter Bunnies. 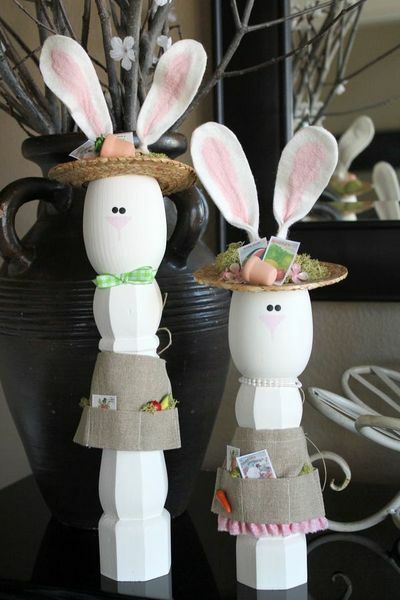 Create cute bunnies complete with straw hats and aprons from simple tools and make them as detailed or straightforward as you choose. They are great for both indoor and protected outdoor display.